Securing Our Borders: Securing our nation’s borders remains my top priority when it comes to immigration. I strongly support President Trump’s border wall and voted to provide over $1.6 billion to begin its construction. I swore an oath to protect and defend the American people and an unsecure border undermines that promise and their safety. That’s why I have led the effort in Congress to ensure refugees from terrorist hotbeds are fully vetted, deport criminal aliens, and cut off taxpayer funding for “sanctuary cities” that threaten our nation’s immigration laws. 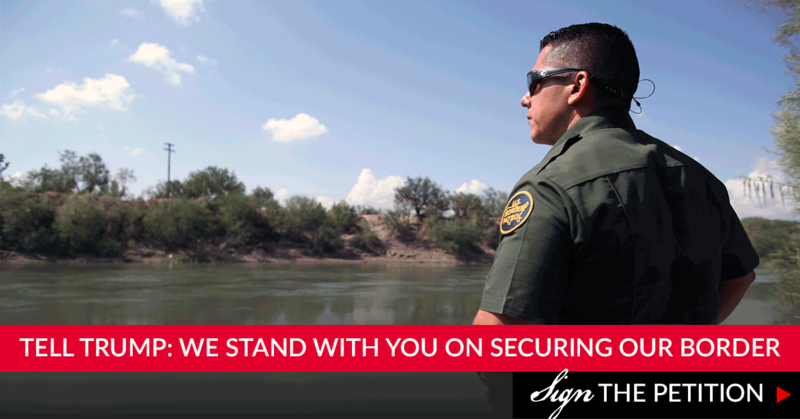 To remain a sovereign nation, we must secure and control our borders. I will continue to fight to get this vital need accomplished. ‍Restoring Health Care Freedom: It has been more than a year since the Senate failed to keep its promise and repeal Obamacare. While this disappointment still weighs on me, I will continue to fight for legislation to repeal and replace Obamacare with policies that restore health care freedom in America. I will not stop working to rescue the American people from this disastrous law. As a health care provider, I know firsthand how Obamacare is destroying the doctor-patient relationship. This one-size-fits-all approach is driving up costs and forcing Americans to buy health care plans that they simply do not want and cannot afford. ‍Restoring Public Education: America’s future presidents, doctors, preachers, generals, and other leadership roles depend strongly on the efforts of our public educators. My wife, Roxanne, was a teacher so I understand the family sacrifices and after-hours work that teachers dedicate to the education of their students. I will continue to fight for the fairness that teachers deserve with supporting legislation to fix the Windfall Elimination Provision (WEP) that is effecting more than 170,000 Texans, as well as other bills and provisions to restore and help our public education system. Cutting Taxes & Wasteful Spending: Earlier this year, President Trump signed the Tax Cuts and Jobs Act into law, fulfilling his promise of tax reform to the American people. Hard-working men and women are now able to keep more of their money. Now, wages are rising, thousands of bonuses have been given, and businesses are finally able to expand. The economy is thriving! The House also recently passed legislation to make these tax cuts permanent, so Americans can continue to prosper on a long-term scale. Creating Jobs & Growing Economy: Jobs are created by building a healthy economy through freedom and opportunity – not burdensome regulations that give unelected government bureaucrats more authority over the American people. Indeed, previous administrations have done too much that stymies U.S. job growth and entrepreneurship. That’s why I am actively working with the Trump Administration to implement pro-growth policies that provide incentives for job creation right here in America. ‍Protecting the 2nd Amendment: As a 30-year member of the NRA, I am a rock-solid defender of the Second Amendment. I’m proud to have earned a 100% voting record with the NRA and an “A” rating from Gun Owners of America. In Congress, I have actively introduced, cosponsored, and voted for important legislation that protects the gun rights of all law abiding American citizens. ‍Protecting the Unborn: I am a steadfast defender of the sanctity of human life and protecting the unborn. In Congress, I have earned a 100% rating from the National Right to Life and been actively engaged in the Congressional Pro-Life Caucus. I have also consistently voted to cut off taxpayer funding for Planned Parenthood – the largest abortion provider in the nation. American taxpayer dollars should not be going to such an organization. Reining In Burdensome Regulations: I have voted for over a dozen new laws that repeal many of Obama’s last minute, job-killing regulations. With the support of President Trump, we are bringing transparency and accountability to bureaucratic agencies like the EPA. These bureaucrats should work for the American people – not against them! Strengthening Our Military: As a veteran myself and father of a decorated Navy SEAL, I know firsthand that our military must be prepared and second to none in the world. Ensuring that our service members have the equipment and training to deter aggression and defeat it when called upon is vitally important. With the President’s leadership, our military is finally being rebuilt to be stronger than ever before. New destroyers and aircraft are being built, our equipment and technology are being updated, and better training systems are being created for our troops. Plus, our military men and women are receiving the highest pay raise in a decade. America will no longer make idle threats, and we will be ready to face any challenge or adversary that shows itself to us. Putting Our Veterans First: The Department of VA must be reformed to ensure our veterans are put first and foremost. For far too long, the VA has been unaccountable to the concerns and needs of America’s veterans. It is critical that our veterans receive the treatment and benefits they have earned and deserve through their service. Helping Our Seniors: As a senior myself, I am committed to ensuring that the federal government fulfills it promises to those who have built their retirement around Social Security and Medicare. I support efforts to strengthen the solvency of both Social Security and Medicare so that it is protected for future generations, but any such plan must make sure that the promise is kept and that no one in or nearing retirement has any changes to their plans.